Planning routes manually can take hours. In addition to figuring out which roads your drivers must take to reach your customers, you also need to account for traffic, weather, construction, customer availability, and other factors. Route optimization software can take all those factors into account for you. You just need to plug in the addresses of your customers and customize the settings to fit your specific situation. Then, your route will ready in less than 30 seconds. 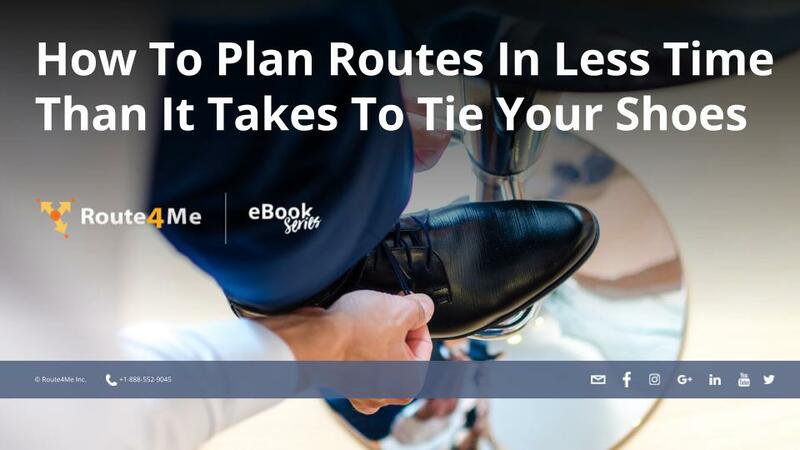 The following pages will show you exactly how to plan a route in Route4Me. You’re only 5 steps away from more accurate and efficient routes. Enter the date and time of when you’d like your route to start. Next, you’ll need to assign a driver to the route. You can add a driver by inputting their email address, or you can select them from your Address Book. After you add a driver, any changes made to a route will be automatically shared with them. Choose whether you need routes for one driver or multiple drivers. Also, choose whether your route will end where it started (roundtrip) or at the last address. There are several ways to add stops to your route. You can type in the addresses manually, use a map to select the exact locations you want to use, or upload a spreadsheet containing your customer data (we recommend the spreadsheet option). Now you’re good to go! Just hit the “Create Route” button, and your route will ready in less time than it takes to tie your shoes. By adopting route planning software, you’ll be able to save time, save gas, and make more money.